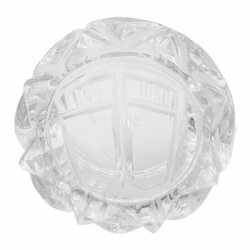 We are Manufacturer, Exporters & Wholesale Suppliers Of Vastu & Feng Shui Product, Gemstone Products & All Indian Products, Pyramids, Crystal Ball, Shree Yantra and more products. 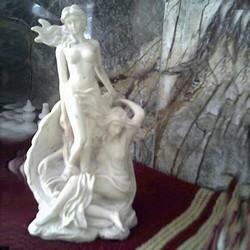 We are offering best quality feng shui items. These items are highly effective in maintaining peace and love in personal life and keep away the wrong energies. 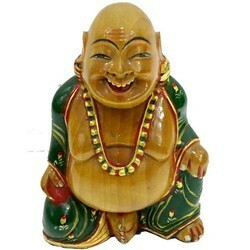 These Feng Shui Items are believed to be lucky and used in various places. This is a fabulous piece of Laxmi charan kamal made of Sphatik crystal. 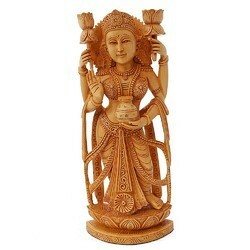 Worshipping a sphatik Laxmi charan kamal is considered to bring prosperity, happiness and financial strength to the house where it is worshipped. Sphatik is a stone of clarity which dispels negativity and clears away negative energy. It is also a stone of harmony because it balances energies, and is even helpful in romantic relationships. 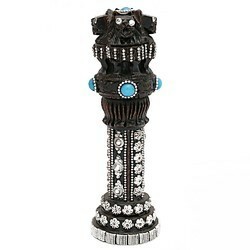 It is used for protection because it counters black magic and protects from negative energy. It is an excellent all purpose healer. It amplifies healing energy and is used to perform diagnostic healing. Presenting the beautiful tortoise made of Sphatik crystal. 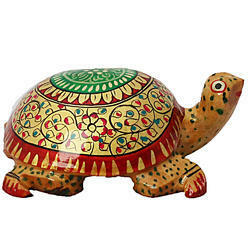 The tortoise is the symbol of long life and also possesses a vital place in the remedies of feng shui. 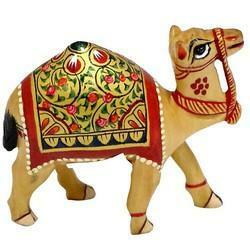 The Sphatik Tortoise stabilizes & harmonizes the aura around one and removes the negative energy. It is especially beneficial for people with bad financial debts. 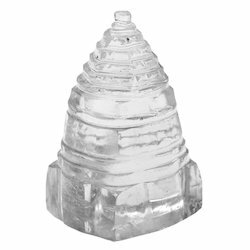 Sphatik crystal is a gift given by earth and a good conductor of energy. It is a semi-precious gem and has natural capability to disperse negative energy. 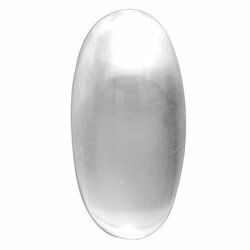 This mani Shiva lingam is egg-shaped made of sphatic crystal. This egg shape ligham is considered to be a phallic symbol of the Hindu god Shiva. This crystallic see through shiva lingam represents the male's contribution to give the birth of humanity in the world. Sphatik (rock crystal) is the purest and one of the most auspicious gems in the world. This stone resonates with energies of all the five essential elements of life- Earth, Fire, Water, Air and Sky. 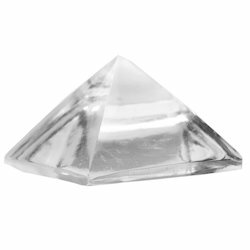 It is a Sphatik crystal made vaastu dosh dosh removal pyramid. The pyramids amplify and then tightly focus energy through the apex. 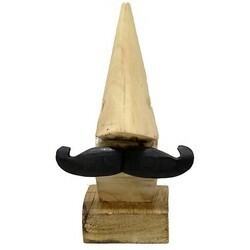 The pyramid corners are the symbols of peacefulness, seriousness, wisdom and truth. 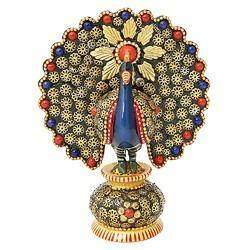 Its conical part is the symbol of tri-level spiritual power. The northern part of the pyramid represents heat, southern represents cold, and eastern is for light whereas the western part stands for darkness. 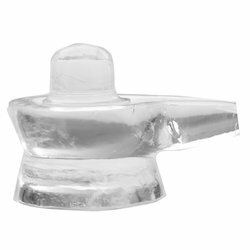 This shivling is made of sphatik is considered to be one of the best shiv poojan items. The shiva lingam represents both male's and female's combine contribution to generate the life on the earth. Sphatik (rock crystal) is the purest and one of the most auspicious gems in the world. It is believed that during Ramayan kal Lord Ram and Laxman took rest on the sphatik rock. 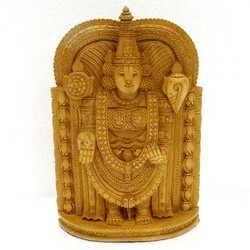 Any idol which is made of sphatik does not need "pran pratishtha" before worshipping. It never gets impured (ashuddha). Worshiping a sphatik shivling is considered to have same effect as worshiping the "Jyotirlings". 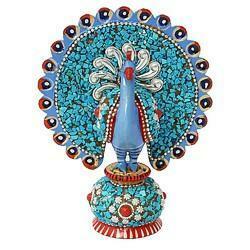 It brings prosperity, happiness and contentment to the house where it is worshipped. This is one of the purest and powerful Laxmi poojan items called Shree yantra or MahaLaxmi Yantra made of pure sphatic crystal. Sphatik (rock crystal) is the purest and one of the most auspicious gems in the world. Laxmi is the Goddess of wealth and prosperity and this yantra should be placed where Laxmi is established and worshipped. Sriyantra is used in the context of meditation and worship as visual aid to the concentration of mind leading to realization of abstract principle which is the inner meaning of the visible representation. A Sri Yantra possesses the sound vibration of the cosmic "Om" seen as a visual diagram. 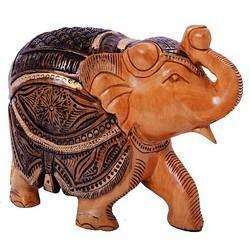 Presenting this lord Ganesha idol made from Premium Quality Sphatik. Worshipping a sphatik Ganesha is considered to bring prosperity, happiness and contentment to the house where it is worshipped. 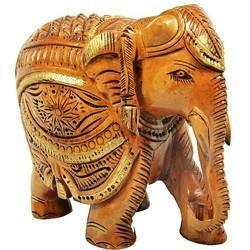 Lord Ganesha, the second son of Lord Shiva and Parvati, is one of the most worshiped Gods in India. He is the lord of learning, growth, prosperity, logic and also the lord of obstacles - hence the name Vighnaraja. Sphatik (rock crystal) is the purest and one of the most auspicious gems in the world. 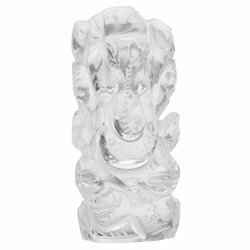 These crystals are usually transparent and colorless, and are often so brilliant that they are mistaken for diamonds.Presenting this lord Ganesha idol made from Premium Quality Sphatik. Worshipping a sphatik Ganesha is considered to bring prosperity, happiness and contentment to the house where it is worshipped. 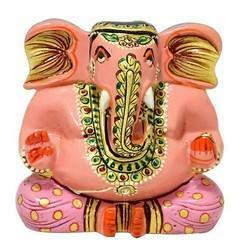 Lord Ganesha, the second son of Lord Shiva and Parvati, is one of the most worshiped Gods in India. 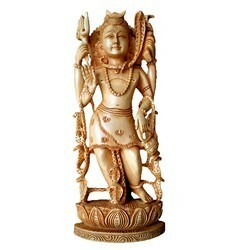 He is the lord of learning, growth, prosperity, logic and also the lord of obstacles - hence the name Vighnaraja. Sphatik (rock crystal) is the purest and one of the most auspicious gems in the world. These crystals are usually transparent and colorless, and are often so brilliant that they are mistaken for diamonds. Little India brings to you ethnic design meenakari navratri dandiya sticks. Dandiya sticks have a very unique relation with navratri, no navratri is complete without the traditional dandiya dance, so buy dandiya sticks this season and complete your navratri with the cultural dandiya dance. 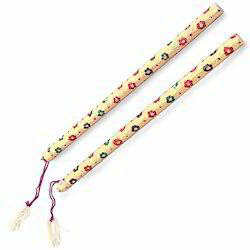 Buy Dandiya sticks on this navratri and celeberate with your family. Garba and Dandiya dances are tradition of Indian culture that are a usual feature in navratri celebration. 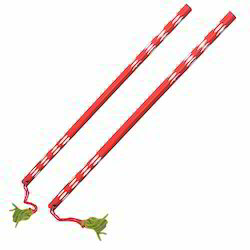 This dandiya is made of wood and covered with ethnic red bandhani cloth and laces. Garba and Dandiya dances are traditional Indian dances that are a usual feature in navratri season. 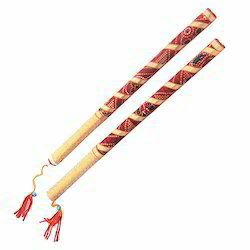 So buy these navratri special dandiya sticks and rejoice every moment of the festival. These sticks are made of wood and covered with Rajasthani meenakari work. 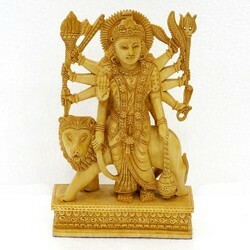 Celebrate Navratri this season with your family and friends. 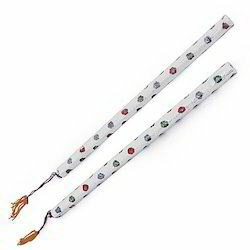 Buy this Raja Rani Dandiya sticks on this navratri and dance with to the traditional tunes of navratri. Garba and Dandiya dances are tradition of Indian culture that are a usual feature in navratri celebration. This dandiya set is made of wood. The Raja Rani design makes it a perfect buying option. 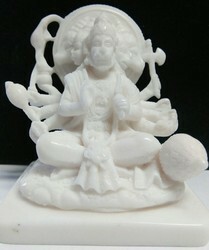 Hanuman panchmukhi hand carved in natural color resin 3. 5"
Lady sitting hand carved in natural color resin 7"
Two ladies playing hand carved in natural color resin 9. 5"
Lady figure hand carved in natural color resin 10. 5"
Lady playing ball hand carved in natural color resin 6. 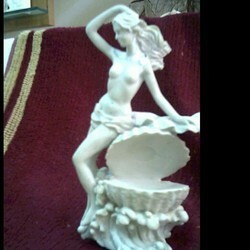 5"
Lady with oyster shell hand carved in natural color resin 9. 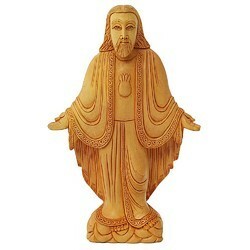 5"
Buddha monk hand carved in natural color resin 6"